A game my grandkids never seem to tire of playing with me and this is the perfect way to take it with us for a fun car game or the long wait during those appointments that always seem to run longer than we expect. Thank you for considering one of our Corner to Corner (C2C) graphs and instructions. 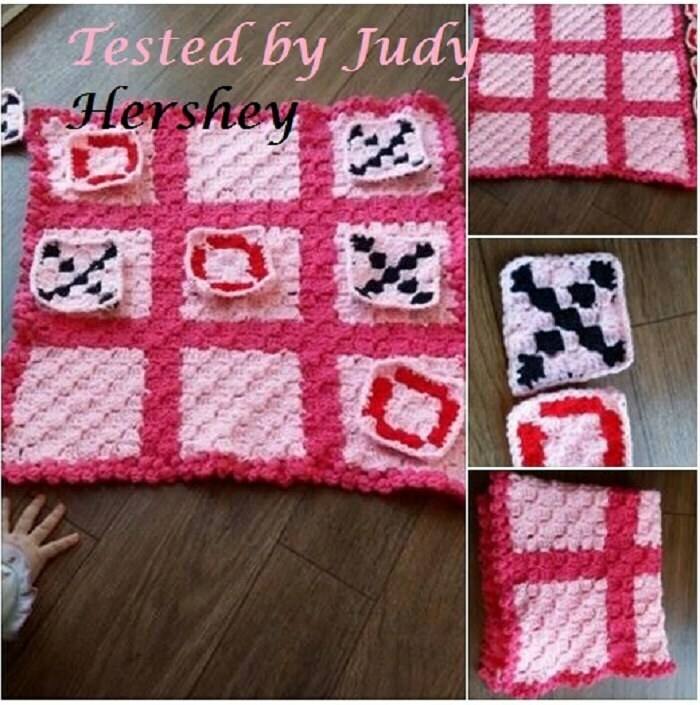 This Tic Tac Toe pattern comes in a pdf format that includes a full size graph, a color coded row by row word chart, a black and white word chart and basic instructions for the C2C. So whether you prefer to work from a graph or hate the counting and like it written out, this pattern has both.